The multi lingual North European country of Belgium has a cultural diversity that contradicts its dull reputation among travellers. With two main linguistic groups, the population of Belgium is divided between the Dutch speaking Flemish of the north and the French speakers of Wallonia in the south. There are also some pockets of German speakers residing in the east towards the German border. The 3 main regions of Belgium are visually very different too. 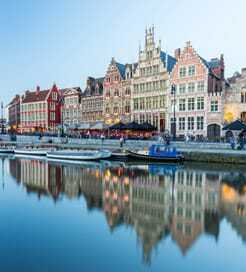 The Flemish or Flanders region covers the North of the country and includes the cities of Antwerp, Ghent, Leuven and Bruges, while the Walloon region covers the south with its largest cities being Charleroi, Liege, Namur and Mons. Brussels, the capital marks the meeting of the two. Ferries connect the North of England with Belgium providing a great way of arriving on the continent from Northern England with minimal driving. Crossings are year round and operated by modern cruise ferries. Ferry crossings from the south of England (usually to Ostend) are often revived but nothing permanent is available currently. If you are travelling from England, especially from the south, then it may be more convenient to get to Belgium by travelling to a port in France or Holland. As usual. Quick loading and good facilities on board. Good crossing. "Better than the Tunnel "
An easy, stress free and relaxed crossing. Preferable to being crammed into a cigar tube on the train. If you have a long onward journey - we had a long drive to Norfolk - it’s a great way to rest and prepare. 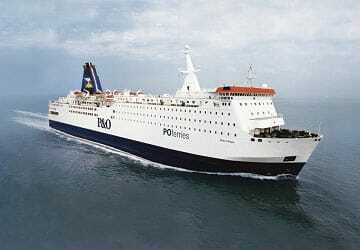 For more information, please visit our Ferries from England to Belgium page.